FEMAG - Thaker Simulation Technologies, LLC. 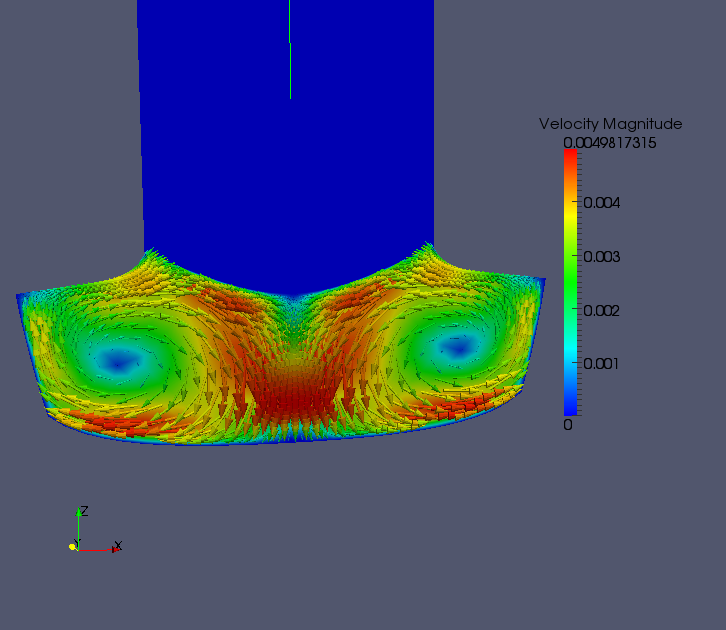 As part of a collaboration with FEMAG SA, Thaker Simulation Technologies now distributes FEMAGSoft's crystal growth simulation software. More information can be found in the Software section as well as at www.femagsoft.com. Companies looking to optimize their crystal growth process, to grow larger size crystals as well as minimize the energy consumption will greatly benefit from the use of FEMAG simulation tools. TST, in collaboration with the parent software company FEMAGSoft, offers the full range of simulation tools along with training and backed with technical support in its use. A simulation of crystal growth using the Czochralski process. The plot on the left shows temperature contours in the furnace and crystal, while the plot on the right shows convection pattern in the melt.